Prepare a moka coffee pot of 4 demitasse and dilute it with the same quantity of water. Whip the cold cream in one bowl and in another bowl mix the mascarpone with brown sugar; add the two ingredients gently and add a spoonful of vin cotto or marsala wine, if you like. 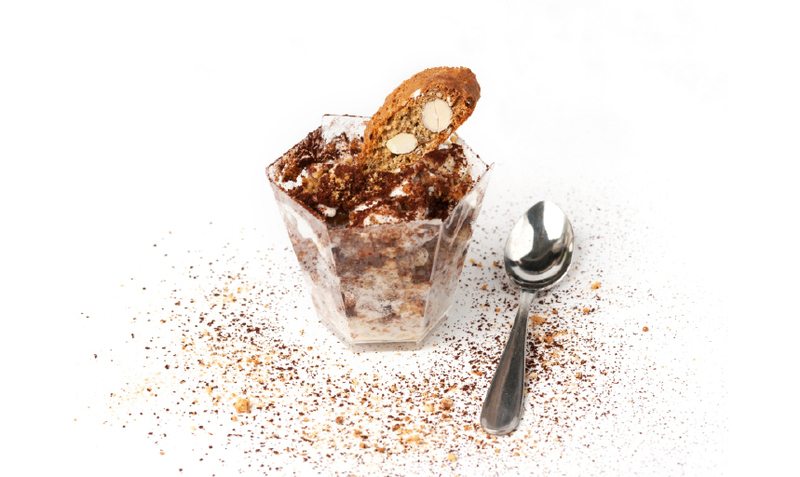 In a baking dish or in small baking cups spread the wet cantuccini soaked with coffee on the bottom and cover with cream. Sprinkle with cocoa and refrigerate. Before serving add a cantuccino to garnish it.